I absolutely love finding music that my kids can listen to without me having to by the radio version of a song. 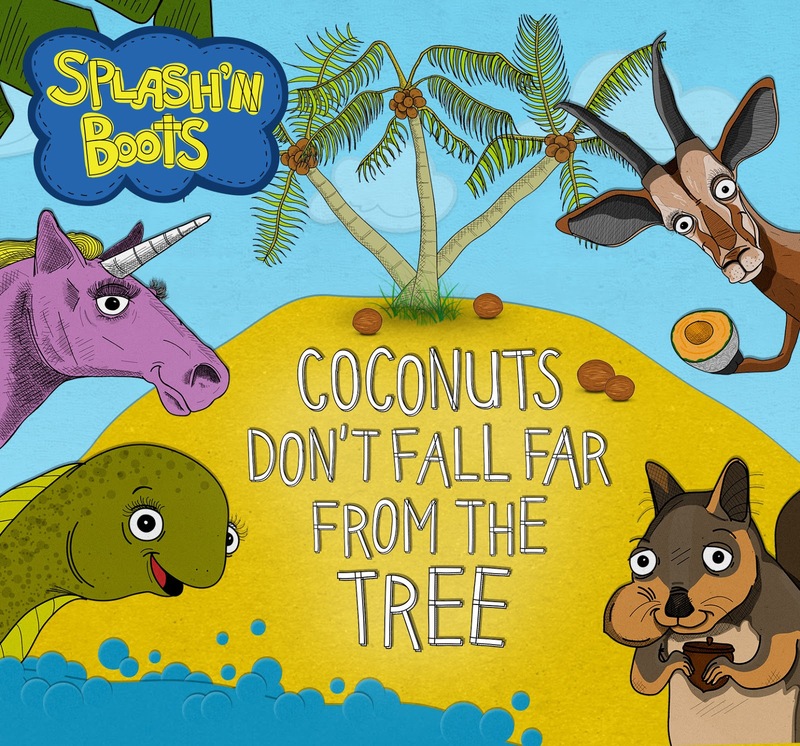 When given the opportunity to check out and review Splash 'N Boots latest album, Coconuts Don't Fall Far From The Tree, I was excited because I wanted to see how my son would like it. He's not much of a music person like my daughter is and I was hoping this album would change that. Turns out he loves it and shouted out to me that they were on TreeHouse a few days prior, lol. Both him and my five year old niece have been dancing and singing to the album ever since we got it. His favorite song had to be, "Dinosaurs in My Kitchen." He loves dinosaurs and while listening to this song and hearing the lyrics he laughed and danced as he imagined dinosaurs in our kitchen eating his chicken, lol. I love that not only are the songs from this album catchy and makes you shake your booty, but they're also fun and out going and the lyrics are easy enough for kids of all ages to learn and sing to. Another thing I loved about this album was that all the songs helped with something, whether it was going on the potty or eating a certain food, I love how they make everything fun for kids. Fun for all ages, this is definitely an album worth getting for your little ones, you won't regret it. Check out this teaser below to see and hear how much fun this album is! Disclosure: All opinions are my own. I received Coconuts Don't Fall Far From the Tree for the purpose of this review. No other compensation was received. Thanks to the company for the giveaway prize.